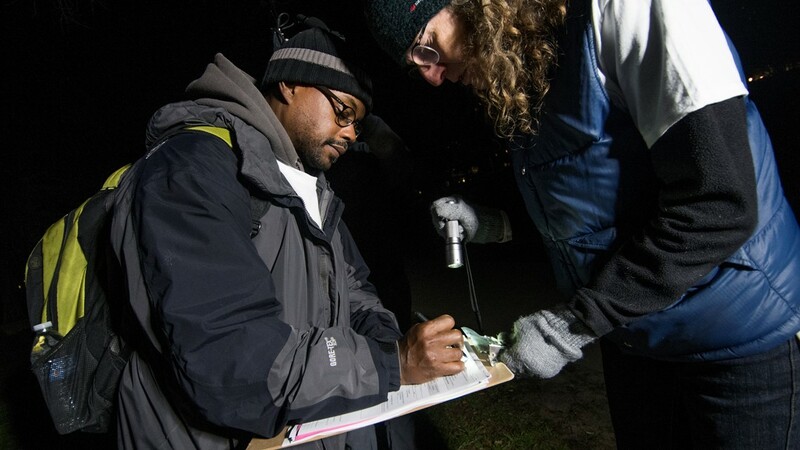 AUSTIN, Texas — ECHO, a nonprofit, led a homeless count on Saturday. 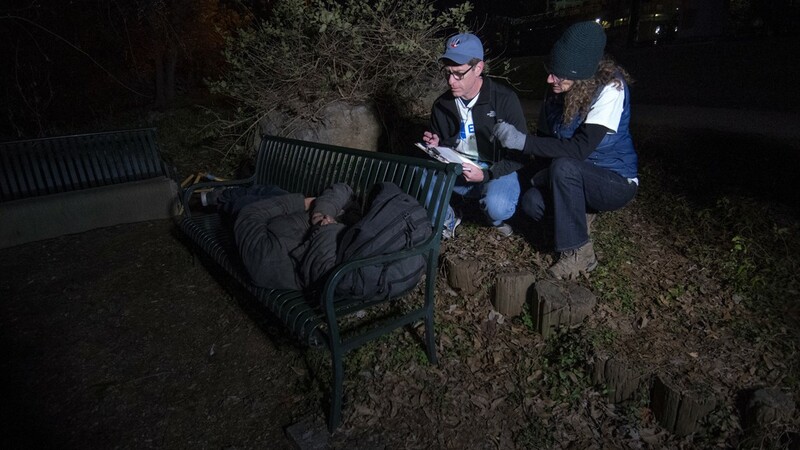 Hundreds of volunteers gathered around Travis County to question homeless people in the area. 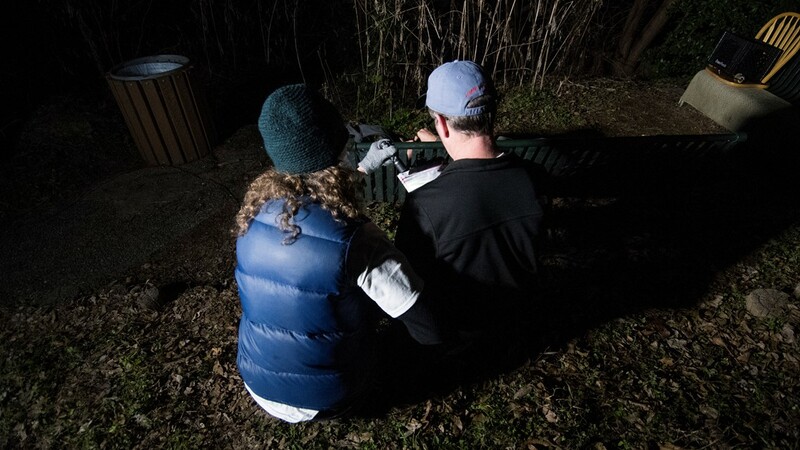 "We have over 700 volunteers, sort-of with Mayor Adler at the charge, who will be fanning out across Travis County in trained up teams to find people sleeping outside or in tents and in cars, and you know, knock on them and wake them up and do a survey with them so we can collect very needed data to help us see how we're doing compared to last year," Ann Howard, Executive Director of ECHO, said. The volunteers completely filled St. Martin Lutheran's Church early Saturday morning. "It's not Easter, and it's not Christmas, but as a church girl it feels like it because the church is full!" Howard said to the crowd. "We have folks here from city and county government from many many non-profits, volunteers from churches and synagogues and people in uniforms that aren't in uniform today but are helping out!" Mayor Adler also addressed the group Saturday morning before the count began. "These are real people these are our neighbors," Adler said. "We need to count them, because everybody count in our city." Howard explained the data collected helps the organization fulfill their U.S. Department of Housing and Urban Development (HUD) requirements. Howard said HUD gives ECHO around $8 million specifically for people experiencing homelessness. ECHO is required to give HUD data reports to continue to get that funding, and Howard said the data collected Saturday will be part of that. RELATED: Austin group passes out hundreds of care bags to the homeless to honor Martin Luther King Jr. Along with surveying homeless people, volunteers will also hand out resources like hygiene items, socks, buss passes and blankets. For ECHO volunteer, Cecil Lockwood, the mission is personal. "I've experienced homelessness," Lockwood shared. "The first place that God spoke to me was Austin, Texas. I came, I walked here with a backpack on for 10 days, slept in a hostel. I left, I came back with my family, we slept in a car..."
Things have since changed for Lockwood, which is why he says helping others when he can is something he will always try to do. "It's not just people on the street, it's people that we don't see. It's the homeless families, it's the kids," Lockwood said. "Everybody's story is different, but the one commonality is that we all are human beings, and that's what people need to know - a person's life matters."